The Flower Series is designed for the painter who loves the timeless, universal subject, the beautiful flower, upon which we love to dwell with our gaze. Who doesn’t love the classic Garden Rose or English Rose, for instance, with its disarming beauty and its siren song allure? 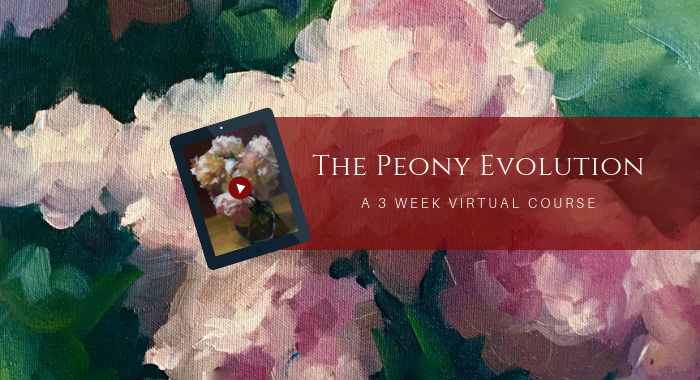 Or how about the Queen of all flowers, the Peony, whose unparalleled aesthetic, infinite petal count, and spectacular architecture, send even the most masterful of painters into a tizzy as to how to tame it into artistic submission. 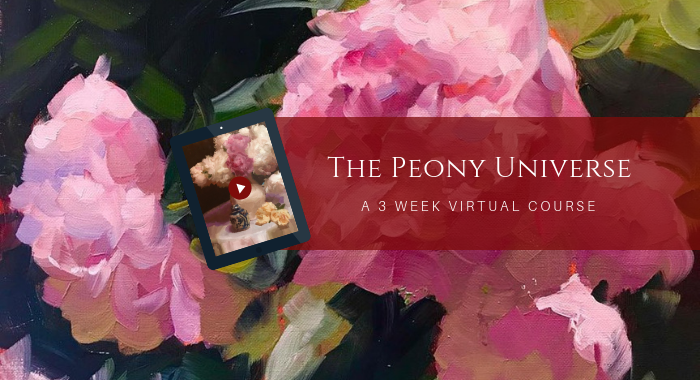 From the Dutch Still Life masters, to 19th Century French master Henri Fantin Latour, to contemporary masters like Michael Klein, Daniel Keyes, Jacob Collins, and Dennis Perrin, the Rose and the Peony represent the pinnacle of artistic achievement. 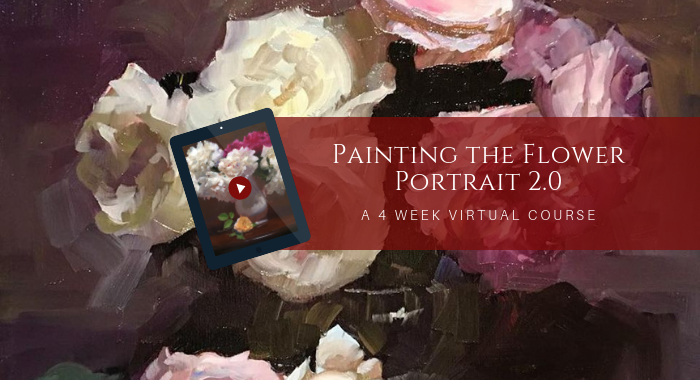 And through this latest series of courses, Dennis Perrin takes you through the perfect approach to making the flower painting a central feature in your own work. 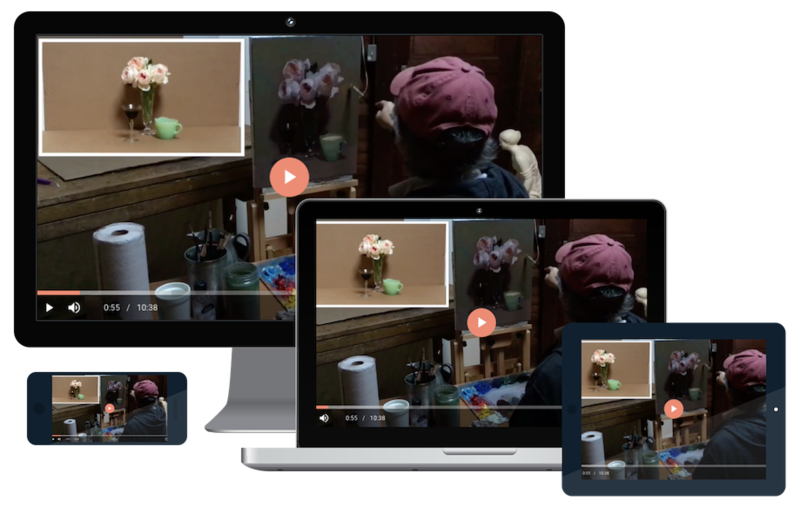 Through his trademark The Perrin Method™, Perrin will show you — through hours of video and carefully narrative — precisely how to “tame” this wildly beautiful subject into a delicate, delightful, and delicious centerpiece of artistic expression. 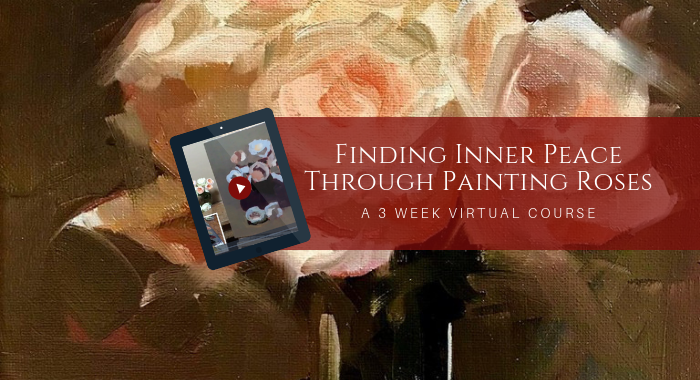 Find out how, through a mastery of the painting method, you can be firmly in the driver’s seat throughout the process. This includes all materials and palette, as well as paint application, color, value, and temperature. 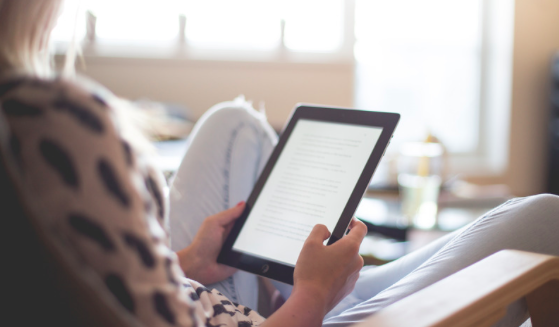 Sign up today for only $397! Watch a free lesson with Dennis now!